← How Creative Visualization Can Help You Cope with Dark Elements? A sketch of a Reptilian or R entity. Photo courtesy of http://alien-ufo-research.com. Yup! 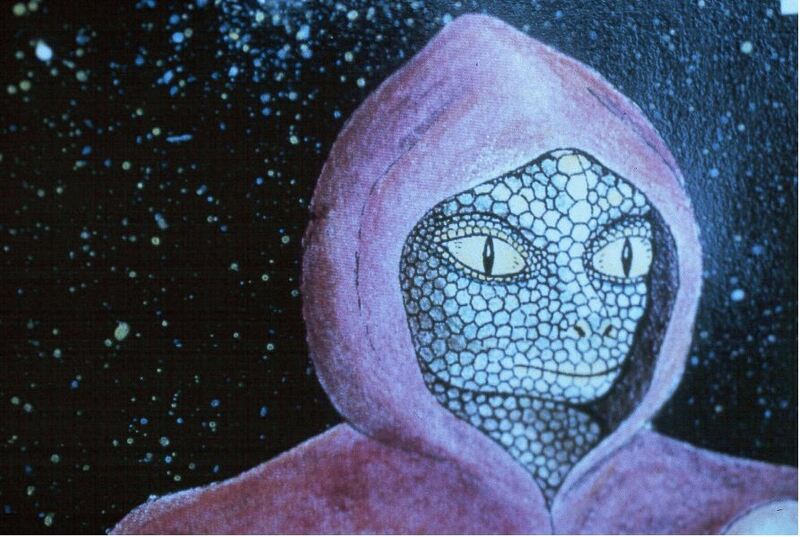 I haven’t talked about the Rs (short for Reptilian) for some time (they are an unpalatable topic admittedly, but one has to discuss them sometime ;). However, I need to discuss them because part of the mission or raison d’ etre of this blog is to educate people on how to cope with the disturbing and destructive influences of the Rs on your everyday life and the current state and future of Planet Earth. So this discussion will focus largely on the learnings I gained from my DIRECT encounter with the Rs (yes, you heard it right, they are almost bosom buddies to me, in a negative and sometimes, highly destructive way). I talked about before on how the Rs and their minions and associates in crime (these could be humans like us who are also vibrating to the tune of fear, anger, despair, disappointment, jealousy, etc.) use ELFs (electro-magnetic low frequencies) emitted by transreceivers for TV, radio, internet Wi-Fi, GPS, etc. to communicate messages of fear, anger, despair, sadness, disappointment, and all other negative emotions and thoughts to an unsuspecting population in your area (see my previous post on this practice among the Rs: https://shamanainthemaking.wordpress.com/2015/11/29/how-to-protect-yourself-from-emfs/. This is done to ensure that there is a constant supply of low energy frequencies for them to feed on (your negative emotions act like a drug to these guys so that they crave on it every single moment or day) – or they go kaput ;)! So how do they actually do it? Let me cite you a simple, straightforward example from my own experience. Let’s take for example my aversion to puking in public. I’ve always had a queasy aversion to the act of puking because of an unforgettable incident when I was 3 years old. I was very sick with fever and was sleeping in my crib. But I suddenly woke up and puked uncontrollably all over my bed – on the sheets, on my pajamas and shirt front. It was horrifying to me that to this day and age, I had only two incidents of puking that I can remember. I was not into it definitely :)! And so because of this, any public display of this most horrendous activity makes me react instinctively with condemnation to the one who does it in public. Which is what happened recently to me. I was in a public, air-conditioned van (one of the main modes of transportation here in the islands) going into the capital. The drive to the city was about 5-6 hours long. And so before embarking on our journey, I overhead one of the passengers, a young man who I thought was 17 years old only but apparently was already in his early twenties) who had two 8 and 7 year old kids (one boy and one girl, respectively) with him, saying to his little sister or charge not to puke in the van while we’re traveling. When I overheard that, I warned the young man to take care of his charges and make sure they don’t puke inside the van while traveling — and addressed the little girl who said she was queasy of the journey. Well it turned out that even though these 3 were initially sitting at the back of the van, the young boy was assigned to sit beside me in the crowded van. Three hours into traveling, the boy beside me puked on his shirt. All the while I was thinking that it was the girl who was liable to do the unthinkable. I asked the van driver to stop the van on the side of the street, got out and was waiting for both the boy and the young man to alight from the van and clean up the mess. Instead, both people and the rest of the passengers just looked at me, as if I was mad to alight. At that moment, I went ballistic! I started talking in rapid-fire succession, berating the young man for not leaving his young charges at home instead of dragging them all the way with him on the van and inconveniencing passengers because they cannot hold their puke. I told him to buy a plane or a water buffalo to get into town. In short, I lost it. And I knew very well how it happened that I lost my cool. Whether you believe me or not, I knew the Rs can read my mind and practically knew that I would lose my cool over the one incident that I hate witnessing – seeing someone puke in front of me. And that is how they keep your frequency down. They read your mind, being telepathic. Once you are still vibrating in a lower vibration, they can still read your mind and plot the next incident to bring you down. I am not a pessimist; indeed, I am an optimistic kind of person since I was in college. But if you harbor fears, they will work on keeping you down using that cache of fears you have in your body and psyche. So my advice is, “Know thyself!”. Like the inscription that is written on the entrance to the Oracle of Delphi, “KNOW THYSELF”, know your weaknesses and eliminate those! Know your strengths and work OR strengthen them further to help keep you free from the influences of the Rs. I cite the link here again Inelia Benz’s fear processing exercise for your use (I believe the recording is not free but the transcript of the video is free): https://ascension101.com/en/fear-processing-excercise.html. Now, if you are one of those that have a lot of deep-seated fears that are “ingrained” in your subconscious, I suggest going to a more “in-depth” way of removing those deep-seated fears of yours. Fortunately, I found an exercise on YouTube by Michael Sealey that I have personally tried and works quite well on removing these fears from your subconscious: https://www.youtube.com/watch?v=FiPDV9L5qpQ. Note: Read up on the philosopher and empowerment guru Joe Vitale on his ideas about removing deep-seated fears from your subconscious in order to attain the life that you want here: https://www.youtube.com/watch?v=98GMoqFleN0. So what do you think of my advice? Do you have other ideas and exercises that can help us cope with the ever-challenging Rs? Write your comments below and share with the others on this post! This entry was posted in 5th Dimension, psychic attacks, Reptilians, The Matrix and tagged 5th dimension, extraterrestial beings, fear processing exercise, Inelia Benz, Joe Vitale, Michael Sealey, psychic attacks, psychic protection, raise your frequency, Reptilians, Rs, telepathic, telepathy. Bookmark the permalink.